Kiwanians and Key Clubbers Working Together Selling Krispy Kreme Donuts at Dec 1 Temecula Christmas Parade! 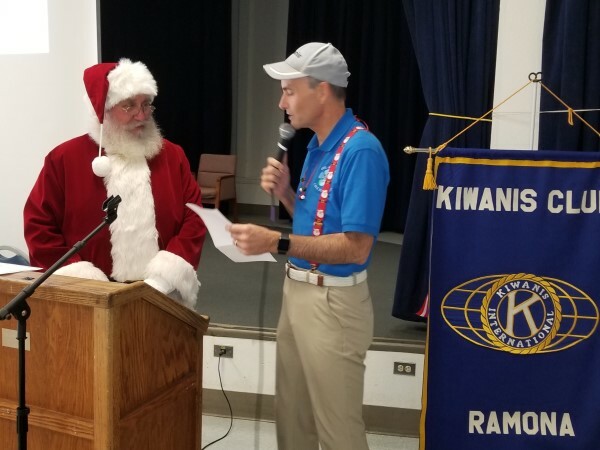 Kiwanis One Day, Oct.28, 2017. 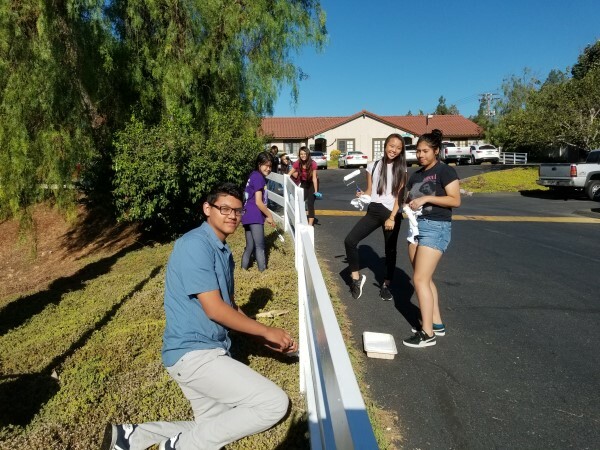 Project: Kiwanians and Key Clubbers repair and paint fence at Mountain Shadow Home for Handicapped Adults. Oct. 7, 2017 on Old Town Front Street. Quilts are auctioned off and $$$ go to local charities. 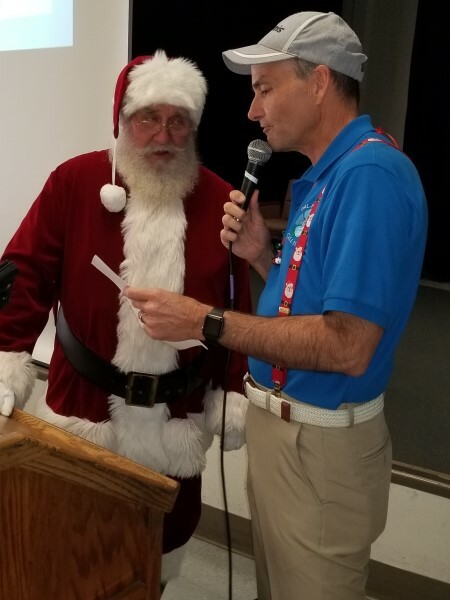 Kiwanis Spaghetti Dinner Fundraiser Held at Reagan Community Center in Temecula. Kiwanians, Key Clubbers, And Cub Scouts do the work! Kiwanians and Key Clubbers prepared hundreds of packages of dry food for needy families in our communities. Kiwanians participate every year in the Salvation Army Bell Ringing Fundraising effort! Youth Art is Displayed at the Temecula Mall during the month of February. Kiwanians, Family Members, and Key Clubbers Install 2000+ U.S. Flags at the Murrieta Field of Honor for Veterans Day! 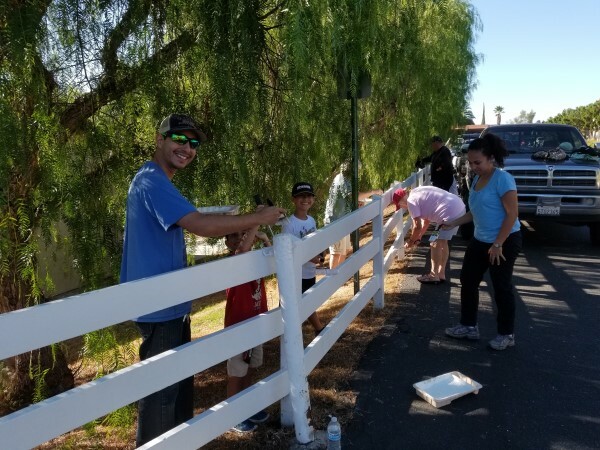 Kiwanians, Family, and Key Clubbers Paint the Temecula Veterans Park Fence. 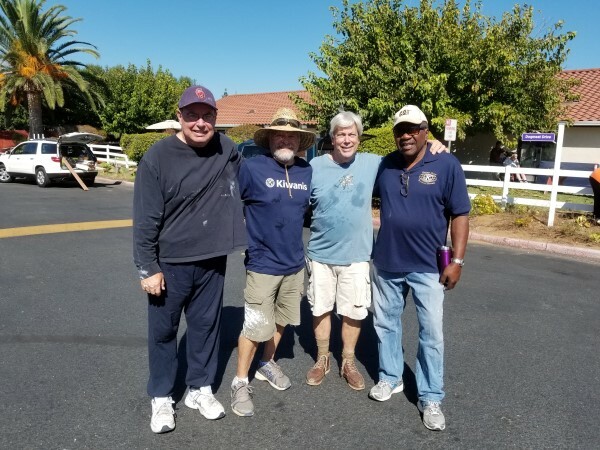 Working hand in hand together to make a positive difference in our community! Kiwanians and Key Clubbers painting the Murrieta Boys and Girls Club! 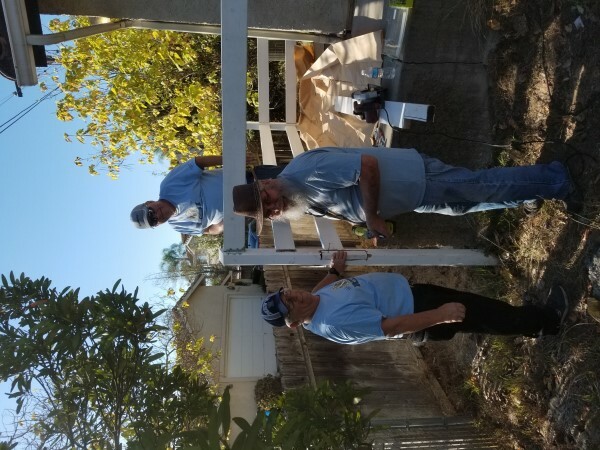 Volunteering time and energy to make our communities better! Kiwanians Constructing Art Easels for Community Events!